Many new research findings have indicated that in many aspects, caffeine does not pose any threat to the human body as it was previously thought of. More over, Ganoderma coffee is formulated using top-grade natural ingredients that feature substantial health-care functions. It is capable of exciting the central nervous system in the brain, extending the hours of keeping alertness, enhancing mental sharpness, and increasing mental focus and concentration to elevate job performance and learning faculty. Coffee is known for its rich content of phenol compounds, which are powerful antioxidants capable of retarding the speed with which low density lipo proteins (LDL) is oxidized by up to three times, in addition to dissolving blood clots and discouraging the formation of thrombi. Ganoderma coffee offers a rich blend of caffeine, caffeic acid, Yung Kien Ganoderma extract, and other antioxidant substances, which work wonders in combating the health threatening free radicals found in our body. Excessively high level of free radicals will also adversely affect our body’s metabolism, destroy body cells, and wreak havoc to the various organs and tissues. Caffeine is capable of increasing the rate of the caloric expenditure in the human body. Research findings have shown that the consumption of 1 cup of Ganoderma coffee is good enough to speed up the breakdown of the fat content in the food, elevate the body’s metabolic rate by 3~4%, and increase caloric expenditure. 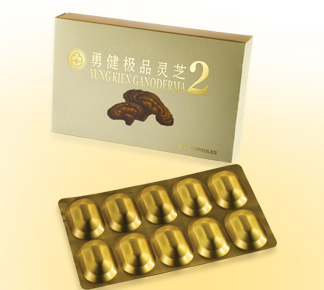 Ganoderma coffee is capable of promoting kidney and diuretic functions to increase the volume of urination and improve the condition of bloated stomach and dropsy or oedema. As caffeine has the ability to excite the sympathetic nerve and encourage the secretion of gastric juice, having a cup or two of Ganoderma coffee can help digestion and prevent gastroptosis. 6. In what way does Trans fat affect body health? Most producers of coffee formulations utilize a hydrogenation process that modifies the molecular structure of fats, so that the vegetable oil used could become more tolerant to high temperature and resistant to turning rancid. However, this process generates the production of Trans fat, which is harmful to the human health. Trans fat tends to build up in the body and cannot be broken down easily. 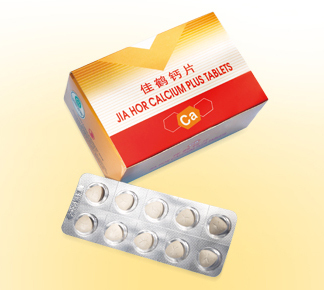 Its long-term intake can bring about a high risk of various cardiovascular diseases, such as coronary arteriosclerosis, as it causes an elevation in the level of the bad cholesterol and a decline in the level of the good cholesterol. 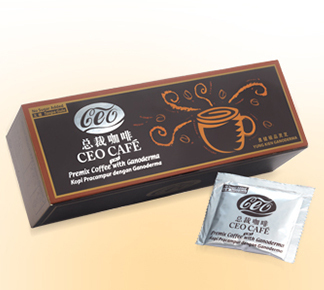 Ganoderma Coffee 4 in 1 or called by some places Lingzhi CEO Cafe, main ingredients include prime coffee beans, non-dairy creamer, and Yung Kien ganoderma. 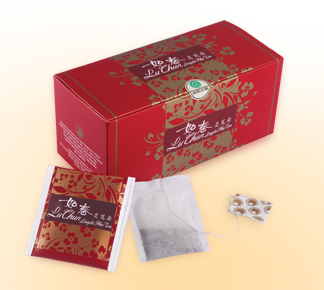 It is not only a soothing beverage, but it also contains numerous health benefits as Ganoderma is widely use and popular in Chinese medicine thousand years ago. Free from any flavoring essence or preservatives, giving you an exquisitely smooth flavor and rich aroma. 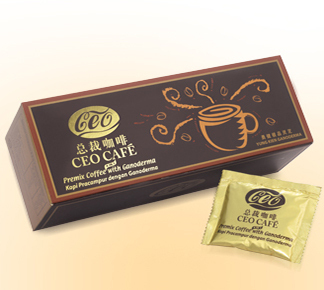 Using no essence, preservative and trans fats principle, the CEO Coffee is refined by selected superior fresh coffee bean and, natural low fat coconut milk.